Last night Brad Bergesen struggled - again. Pitching three terrible innings, giving up six runs and effectively putting the Orioles out of it before they even had a chance to be in it. The Orioles bullpen did not help either. All in all it was just another all-too-familiar sight for Orioles fans. This weekend, the Orioles will play four games in three days against the New York Yankees in The Bronx. Young Orioles starters Chris Tillman and Zach Britton have been recalled to start the day-night affair. It will be a big start for both of them because the entire future of the Orioles franchise rests on their shoulders. Well, not just their shoulders but theirs, as well as Brian Matusz and Jake Arrieta's, because, Orioles fans, if those four players do not live up to their potential then the team is better off blowing the entire thing up and starting over from scratch. That may sound drastic, but let's face it. The Yankees and Red Sox are not going to get worse anytime soon. There is no window for them. The resources that both teams have afford them an almost immortal status when it comes to competitive baseball. But, James (you herculean exemplar), what about the Rays? Well, let's face it, the Rays had a couple of very magical years, but it appears as if their window is beginning to close right now. They are having a good year but now sit 11 1/2 games out of first, are hovering right around .500 and appear to be sellers. And, yes, they will make moves and trades, but does anyone really think that a proposed 2012 Rays or Jays team has the guns to go up against the Red Sox next year? The Orioles once again dropped a game to the Blue Jays, this time losing 8-5 on Thursday and dropping yet another series. Brad Bergesen got lit up again, giving up six runs - four earned - in six innings of work. The defense was shaky, but honestly, Bergesen was just plain mediocre. It's obvious that he might be on borrowed time as a starter, much less as a member of the Baltimore Orioles -- again. I'm not sure what to think about him. Bergesen simply cannot maintain any type of consistency and it seems while he can throw a few good innings, he has a bad one or two. That just kills him. Then my thoughts wander off to this: “Ugh, maybe he’s just not that good”. Bergesen's pitches are looking flat, and he's not a hard thrower to begin with, so if his sinker and other assortment of stuff isn't working -- the results are not good. Basically, Bergesen had a good year and a half when he first came up for good as a starter in the big leagues. However, after the line drive off his leg courtesy of the Royals' Billy Butler a couple of seasons ago, Bergesen has not been the same. Maybe the Orioles might over-rate Bergesen, or perhaps what we are seeing out of him is what he is. Now, he's still relatively young, but I wonder how much confidence the organization still has in him? If there was a positive out of last night’s game, it’s got to be J.J. Hardy. He continued to kill the Blue Jays (even though he struck out four times on Wednesday) with a 3-for-5 performance with two home runs. Yes, a lot of the pickups that Baltimore acquired in the offseason didn’t work out; however, Hardy has been gold for the Orioles, especially after the injury to Brian Roberts. Speaking of Roberts, do you all think he will ever be an effective, healthy second baseman (again) – especially at his age? I’m not sure how bad his concussion is, but Roberts must have suffered some serious head trauma. On Tuesday, the Orioles finally broke out in a big way, defeating the Toronto Blue Jays, 12-4. They are now 41-58 on the season, and 21 games out of first place. For a change, instead of the Orioles being whipped, they got to inflict pain to a pitching staff. J.J. Hardy hit a pair of home runs, and Derrek Lee – who also drove in five runs – along with Nolan Reimold went deep during Tuesday's game. The offense helped Jake Arrieta – who gave up four runs in five innings – win his tenth game of the season, despite not having his best stuff on the mound. Jason Berken – who has looked shaky as of late – pitched three scoreless innings of relief to help finish off the game for Baltimore. That is a promising sign, considering he has not been used much as of late. It is funny the amount of run support that Arrieta gets in comparison to Jeremy Guthrie – I’m just saying. Speaking of Guthrie, this Sunday marks the trade deadline and as we all know, the Orioles (frankly), do not have much to deal away aside from the aforementioned de-facto ace/starter and reliever Koji Uehara. As much as I appreciate the eccentric Guthrie, a change may do him some wonders. Considering the lack of run support and the continual losing in Baltimore, I would not be surprised if he flourishes somewhere else. Guthrie is not an ace, but has extremely good stuff and may be energized pitching for a contender. Who knows if he wants to stay in Baltimore, but the team has to see what’s out there and deal him if they can get some young talent in the system. The Orioles will lose 90 games with or without him, so they need to take a risk and keep rebuilding. The problem that the Orioles will face is that who do you replace him with? Will Arrieta be the man now in the rotation if Guthrie is traded? Do fans want that? Then again, it does not matter what we want, as the team has to look to the future, not the present. On Sunday, as we all know, the Baltimore Orioles lost to the Los Angeles Angels of Anaheim, 9-3. What was a 3-2 game – in which the Orioles trailed in the eighth inning – became a complete slaughter as the Angels scored a ludicrous five runs off reliever Mark Worrell in the frame. It was ugly, unbelievable and illustrated an inconvenient truth about the Baltimore Orioles. The Birds are obviously out-manned and often out-played. They don’t have as much talent as their opponents for the most part. James and I talked about this issue on Friday night after the awful loss. A bunch of friends and season ticket holders chatted about this topic at our Sunday get-together and during the game. The frustration only grew ever more fervent during the eighth inning. However, the problems lay much, much deeper than that. The current major league roster doesn’t have much depth at all. Well, that’s probably attributed to the complete lack of reinforcements and overall talent that can make an impact in the big leagues readily available. The Baltimore system has some young talent that’s up and coming; however, if the team needed to plug in a hole because of an injury (like next week) – who would they bring up? That is, where’s the young talent that could immediately alleviate a bad situation. The Angels, Red Sox, Tampa Bay Rays and several other teams have it. Why don’t the Orioles? It could be a symbol of real bad luck during the Andy MacPhail era. Maybe the young players may have been over-hyped, or whatever. Maybe the scouting department isn’t finding the ‘diamonds-in-the-rough’ after the first few picks? Tonight the Orioles will take on the LA Angels in Baltimore. If you are coming from out of town and are having trouble finding the city you are not alone. You see Baltimore has been moved to what feels like roughly 20 feet from the surface of the sun. The current temperature in B'more is 107 but the "real feel" is closer to an abominable 120. That was not a typo. I know it is lame to complain about the heat in the summer but by Odin's Beard that is hot. Tonight I am sitting in the pressbox giving you all the live coverage and commentary you can handle on the twitter (@hampden42) so check it out and chime in! The O's are coming off yet another subpar performance against the Red Sox, what else is new? The internet isn't calling for Andy MacPhail's head - yet, but the pitchforks are being sharpened and torches are being gathered. I already chimed in on that issue today for my weekly guest spot over on MASN.com. Leave a comment - start the conversation. As I sit here marinating in the pressbox the conversation turns to trades. Who stays, who goes? Yesterday at Camden Yards, the Orioles earned a four game split with the Cleveland Indians, as they won 8-3. They snapped a painful skid on Saturday thanks to a nice effort from Alfredo Simon – who is now in his native Dominican Republic to settle his legal issues. On Sunday, we all wondered what we would get from starting pitcher Mitch Atkins. Well, it would not be good. He put Baltimore in trouble early as he labored through the first inning, giving up three runs and putting his team in a deep hole. We all figured it was going to be another miserable Sunday; therefore, all of us were going to make the most of it. It's sad to have thought that way in the very first inning; alas, in the last month, what else would you have expected? For the most part, we all kind of complained before the game about the direction of the team -- how player X, Y, Z we’re not doing anything, plus what was going to happen to Andy MacPhail in the off-season. But the Orioles surprised us and they would get help from some unexpected sources. The Orioles got clutch relief pitching by Mark Hendrickson and Jim Johnson, plus the bats came alive as Robert Andino hit a surprising three-run homer in the fifth inning to put his team ahead for good, 4-3. Adam Jones, Nick Markakis and Matt Wieters would also homer as well and send the Orioles to 38-54, plus their second straight win. Funny enough, I had noticed that past few days that Nick Markakis has started choking up on the bat. However, he seems to be hitting the ball with a lot more authority and power. I guess that Nick should stay with whatever works. Praise the pagan baseball Gods! The Orioles have snapped the season-long nine-game losing streak with a 6-5 win over the Indians that was a lot closer than it ever should have been. The Orioles went into the ninth inning up 6-2 on the backs of Markakis (3-4 with two doubles a homer), Jones and Pie (a double each combined for four RBI). When Kevin Gregg almost blew it. He would get the first two outs, scattered between three walks, and with the bases loaded and two strikes on Orlando Cabrera the veteran batter roped a bases-clearing double to pull the Indians within one. That was all that Buck Showalter needed to see and he pulled Gregg to a chorus of boos from the frustrated 24 thousand fans in attendance. Thankfully Michael Gonzalez came in and easily retired Grady Sizemore to end the game and secure the win. Quick prediction: Koji get used in more closing-type roles for the remainder of the month. If Koji is truly a trade chip then we need to show him off in key roles. Gregg getting yanked an out away from a save (even if he almost blew it) is rather telling to me. Even though Gregg did his best to ruin the night the Orioles looked sharp all around. Alfredo Simon was brilliant. He was perfect through three and pitched seven innings of two-run ball and let the Orioles offense do their job on the other end. It was a refreshing change from the recent performances of Orioles starters. Simon was the first starter to get through seven innings in what seems like a geologic age. Speaking of starters; Brian Matusz pitched last night in the AAA Tides game against the Gwinnett Braves and the results were good. Matusz pitched seven innings of three-hit shutout baseball with eight strike outs and two walks. The most important thing is that reports say that the velocity on hist fastball was back up in the 88-91 MPH range. It is too soon to say that Matusz is ready to come back but another start or two like this one and he will be back. 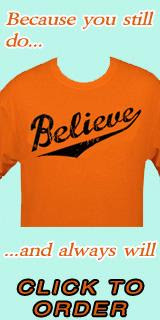 In a few hours, the Baltimore Orioles embark on the second half of the 2011 season. Right now, they have fallen hard and seemingly are having trouble getting up. They are in the midst of a seven game losing skid and are looking to snap it against the Cleveland Indians tonight at Camden Yards. For us fans, it seems the more things have changed, the more they have stayed the same. The Orioles are improved from last year – YES! – however, I’m sure we all expected so much more from this team. The starting pitching has been piss poor in the last month, hitters aren’t doing much and you’ve got to wonder – if and when help will be coming. Brian Roberts is hurt – and much like last year, his presence in the lineup is missed. Not to rail on J.J. Hardy – who has filled in nicely at the top of the lineup – but Roberts brings some intangibles missing on the team now (mainly, speed and a very good batting eye). Of course, we all know of the struggles of Derrek Lee and Vladmir Guerrero, two players way past their prime; plus, Mark Reynolds in the field and Nick Markakis; however, the most troubling of the Orioles’ struggles is with the pitching staff – plain and simple. At least in 2010, we knew the team was *bad*, but even with the talent level on this squad this season, it seems not much has changed. Looking at the team right now, it's got very little depth, the bullpen is being over-exposed, and you have to wonder where the help will be coming from next. The Orioles have been plagued by injuries and their young pitching has not taken a big step forward. In fact, it's more like regression. The lack of starting depth is absolutely killing this team. No disrespect to anyone, but when Chris Jakubauskas, Alfredo Simon and Mitch Atkins are a glimmer of hope in a starting rotation, you’ve got problems. The Orioles are looking very thin right now with their pitching staff and some experienced arms could have helped to stop some bleeding. Really, I hoped the team would have signed at least one or two more veteran pitchers in the off-season. We all know the struggles of Jeremy Guthrie and while Jake Arrieta has racked up the wins, his ERA is under five and he’s too been hit hard as of late. Meanwhile, Brad Bergesen has been buried in the bullpen after his lackluster pitching and both Brian Matusz along with Chris Tillman – who were considered cornerstones of the Oriole rebuilding program – are in the minors right now. Obviously, the idea of going with a rotation full of youngsters and veteran Jeremy Guthrie serving as a defacto ace has failed so far. The talent just isn’t there within the organization to win at the moment. The only thing I can say right now is maybe – somehow – that some of progress we saw under Buck Showalter reappears in the second half. Who knows if that will happen, but we have to wish for something, right? I still see some hope with the Orioles, despite everything. They have to continue down the long road of rebuilding, draft well, look into other markets for talents and have a commitment to winning – not mediocrity. They have a good leader on the field with Buck Showalter; however, it remains to be seen if Andy MacPhail stay on-board this season after this season. The second half of the season starts for the Baltimore Orioles on Thursday. So far, it’s pretty obvious that 2011 in Birdland will more than likely be a big letdown start unless they can find some magic. Despite the struggles of the Orioles and possibilities heading into the trading period, there’s one man who has been receiving a lot of attention as of late: Baltimore’s current shortstop, J.J. Hardy. I’m probably the thousandth person to talk about him, but I am going to do so anyway. You also have to be amazed by the work J.J. Hardy has put in so far with the Orioles. Although he missed some time to injury, you have got to wonder how good his level of production is right now at the plate. Most knew that Hardy is a quality shortstop from his track record, but as an Oriole, he has done everything expected of him – and more. Hardy has filled in nicely at the leadoff spot with Brian Roberts on the disabled list. Furthermore, he’s fluid in the field, a gamer, and seems to be ready to go each and every game. At the moment, Hardy is looking like the player that he with the Milwaukee Brewers when his major league career took off. Although he’s slowed down after his hot June, Hardy is currently batting .278 with 13 homers and 33 RBI’s. Right now, many fans are wondering if we should keep or trade him. It’s been a topic of some debate and the chatter has only intensified as the Orioles have gone into a real bad swoon. One could say that Hardy’s value may never be as high as it now – considering he is a free agent at the end of the season; however, Hardy is probably one of the best all-around shortstops that Baltimore has had in several seasons. You all know that Robinson Cano won the Home Run Derby last night. Obviously, since we Orioles fans see the Yankees roughly 18 times a year, it's well known that Cano is a heck of a ballplayer; however, I had no idea he had that much power in him. Cano was amazing last night and it was even moreso considering he had his father lobbing pitches to him -- a job well done by the Yankee second baseman. Adrian Gonzalez - no slouch in his own right - finished second and put on a power display of his own. Basically, the National League didn't do much, but it was a great show to see. Other than that, the All-Star Workout was a mad house and it was something to see all those players up close. I didn't get to the see much of the American Leaguers, but I made the most of it. A lot of fans were griping about the lack of star power in this year's rendition of the All-Star Game, especially the beloved Derek Jeter (boy, is he ever being ripped); however, I'm excited to see what happens on Tuesday night. The Orioles are 36-52 at the close of the first half of the season. They crawl...no crawl is too good a word. They are wheeled into the all-star break by a disinterested orderly with a 3-14 record over their last couple of weeks. A few weeks ago the Orioles were at 33-38, not good but at least they were in sight of respectability. Now, I would mame for eight games under .500. The Orioles have also just been annihilated over the last couple of series. No offense, pathetic clutch ABs and the threadbare, patchwork starting rotation has been torched again and again. Despite the Orioles showing flashes of pride and fight in Boston (I still wonder what would have happened if Gregg had landed that punch on Ortiz' big face) the team has looked beaten and out of their league. The entire starting nine has seem to go into a slump at the same time, costly and annoying errors have littered the field and runners have been stranded like their waiting for a bus that never comes on a lonely Baltimore street. It is bad out there kids. Yet somehow, even though this is a seven-game improvement over last year, it seems so much worse. All that promise, all that hope, all the excitement that was built up over the offseason is gone a puff of disappointment. Its only going to get worse. The Orioles will open the second half of the season against the contending Cleveland Indians and then the Red Sox come into town - and their fans. Their fans that were noticeably absent when the Sox were in last place earlier this year. But now that they are playing like the 180+million dollar juggernaught they are supposed to be you know that Camden Yards will be over run by idiot nation. It’s been a drag watching the Orioles as of late. They lost their sixth in a row on Saturday in Boston, losing to the Red Sox, 4-0. The Orioles made the struggling John Lackey look amazing and once again struggled offensively – again. They had four hits on the night, went 0-4for-4 with men in scoring position, and only got seven men on base. Alfredo Simon struggled from the onset, but kept his team in the game until the Red Sox busted it open in the fifth inning, scoring three times. He had obviously tired, as Saturday’s start was his first of the year after working in the bullpen. The bean-ball played a role in last night’s game as Lackey hit two Orioles – Derek Lee and Nick Markakis. One would think after the tussle last night between the teams, the umpires would be on high alert. But, oh no. Only after the second hit batter for the Orioles did the umpires issue a warning to both dugouts. As Buck Showalter said in his post-game chat (and I’m paraphrasing), if Simon hit two guys, he would have been ejected. The pent-up anger and energy the Orioles had on Friday in their dust-up with the Red Sox, didn’t exactly translate on Saturday. Then again, with the talent level on the Birds right now, it would have been hard. Hope all is going well with you this Saturday. Right now, I am headed out west to the freaking hot desert - aka, Phoenix, Arizona - for this year's rendition of the All-Star Game. I'll be spending some time in Las Vegas and capturing the action, plus sounds of a long weekend full of baseball in Phoenix. It's going to be a long day, but I should be there sometime tonight. Hopefully, I won't melt in Arizona; however, the brutal summers in the mid-Atlantic are bad enough. Stay tuned to the blog for my thoughts of the events out there. I'm also curious to speak to some people about SB 1070 - otherwise known as the controversial illegal immigrant law. In the meantime, we have a new writer - AJ Gersh - onboard here at the Post. He'll be helping us out here and his own blog, The Orioles News. Oh man. It's has gone from bad to worse with this team right now. It's become Friday Night Smackdown in Boston and the Orioles are getting their arses handed to them in a big way. Showalter's blow-up on Wednesday didn't help at all. I have no clue even what to say. I was hoping starting pitcher Zach Britton would at least put forth a decent effort to help Baltimore snap their skid -- um, it didn't happen. He was going to be skipped after the All-Star break, but his effort tonight is very troubling. Maybe some rest will do him so good. His line: 2/3 of an inning, eight runs - seven earned, two walks, a hit. Of course, he was not helped out by a J.J. Hardy; however, it's been an ugly series so far for the Orioles. As it is, Josh Beckett is having his way with the Orioles and the offense can't seem to do anything. Last night, the Baltimore Orioles got emasculated in Boston as the Red Sox beat them, 10-4. After the series in Texas, where they got beat badly in two out of their three losses, the Orioles were hoping to have their luck change in the Northeast. Of course, Fenway Park is always a tough place to play. However, after what happened on Wednesday, could things have gotten worse? Yes, it has. It didn’t matter much that Buck Showalter ripped into his team on Wednesday due to their lack of effort and inability to play better, the Orioles were still awful on Thursday. The Red Sox lineup, full of gamers and All-Stars, ripped the guts out of the Orioles. They used six homers off Baltimore pitching to send them to 36-49 and into yet another swoon. With the cast of characters the Orioles have now on the pitching mound, who knows how bad things will get. They have lost nine out of their last ten, and 18 out of their last 24! Jake Arrieta, much like many of the Oriole starters in the past three weeks, could not make it past the fifth inning. The Baltimore bullpen was used again, and they got hammered for the third night in a row. The Oriole defense has been shaky, and they can’t do much with runners in scoring position. Of course, the same issues popped up again last night. Yes, the Red Sox probably would have won anyway; however, the Oriole lineup didn’t help much in the end. The Orioles last night in Texas got swept by the Rangers, 13-4, in a pretty sad display of baseball. They have now fallen to 36-48, 12 games under .500 and 14 ½ out of the American League East lead. It’s been an awful past few weeks for the Orioles and things seemingly do not look to be getting any better. Baltimore was done even before the second inning as Texas built up a 4-0 lead and never looked back. Starting pitcher Jeremy Guthrie only lasted five innings, gave up six runs and now is 3-11 on the season. His ERA is now up to 4.23. The dynamic Ranger offense with all their big bats turned it on early and didn't relent. The Oriole bullpen – which is starting to show signs of being overexposed – only poured more gas on the fire, as they gave up another seven runs. Both Vladmir Guerrero and Derrek Lee homered; however, it was for naught. The game was well over at that point. Baltimore was pretty much stifled by Texas’ Alexi Ogando, who pitched seven innings of three-run ball for the victory. Overall in this series, the pitching for the Orioles – outside of Mitch Atkin’s start on Tuesday – has been terrible and woefully inconsistent. It’s been painful to watch and at the moment there seems to be little hope down the road as Baltimore faces a tough Boston team before the All-Star break. The Orioles suffered yet another painful loss in Texas, 4-2, to the Rangers. Well, last night was a microcosm of the Baltimore’s season so far. A Birdland pitcher – a young one in his first start, Mitch Atkins – throws a good game. The Orioles take a brief lead, but the bullpen (mainly, Jim Johnson) and a defensive miscue cost them the game. Furthermore, an offense that gets twelve hits on the board only pushes through a couple of runs. That's even more upsetting to know. Good teams find a way to hold onto a lead and score, but the Orioles can’t master that. They have not for a long time. Buck Showalter can only do so much – it’s obvious the talent isn’t there for Baltimore right now. This was the year that the climb out of the second division was supposed to begin. Well, those plans may have been altered – again. The Orioles are now 36-47, eleven games under .500, therefore, at this point, how do they stop the bleeding? Unless the Orioles find the same magic they did in the final two months of last season, it’s going to be a potentially disappointing summer in Charm City. Yesterday’s game was frustrating to watch and certainly right now, this must be the lowest point of the baseball season for the Baltimore Orioles and us fans. The Orioles got scalped by the Braves, 4-0, thanks to Jair Jurrjens’ gem down in Atlanta. They got beat by one of the best pitchers in the business. Aside from Adam Jones’ squeaker down the middle in the seventh inning, Baltimore was thoroughly dominated. They could not hit, had some questionable approaches at the plate, and Jurrjens feasted on them. I’m not going to badger the Orioles for losing. They got beat by an amazing pitcher. However, they are now nine-games under .500. The positivity from Fan Fest, Spring Training and the beginning of the season is now gone. Right now, the Orioles are looking like what some thought they would be – a middle of the road, to mediocre team. Most of us fans pretty much knew that the current span of interleague games – against the Reds, Cardinals and Braves – would test the Orioles. Next week, the gauntlet continues as they face the Red Sox – a team much different than they saw when they last played them – and the ever, so tough, Rangers. So far, the Orioles aren’t doing too well. My tag team partner, James, expressed himself this morning about the team, and it’s hard to add to anything else that was said. Simply put, the young pitching isn’t excelling and the hitting has been mediocre at best. The Orioles were destroyed by Jair Jurrjens last night, one hit shutout. Ugh. The Orioles are sitting at nine games under 500 right now, 13.5 games out of first and fans are pretty much ready to once again call it a season before the All-Star Break. The Baltimore Sun ran an interesting story today entitled “A Step Forward?” Basically, yes the Orioles record is better than last year, a lot better actually but so what. The same problems are still lingering. It still boggles the mind how year-after-year the worst-case-scenario happens for the Orioles. Take last year: Injuries to the starting staff, Reimold’s ankle and other struggles, Adam Jones can’t take a walk, Brain Roberts’ back, Wieters’ struggles, Garrett Atkins, Kevin Millwood, Michael Gonzalez. Now this year: Markakis has no power; Brian Roberts (again); Wieters still not Jesus; Vlad is a singles hitter; Matusz ; Tillman; Bergesen; Guthrie; Britton struggles out of the gate, Michael Gonzalez. The Orioles starters still aren’t pitching deep into games, there are still bullpen concerns and the offense disappears so often that they are starting to put pictures on milk cartons. Buck Showalter is not a miracle worker and too much weight was put on his shoulders from day one. You can blame the Orioles marketing department for that one as it played on the emotions and desires of a long suffering fanbase. But he is a manger, a great manager, but anyone expecting a complete turnaround simply because of his presence in the clubhouse was kidding themselves. So now the Orioles have improved from historically bad to just bad. There really isn’t any way to sugarcoat it anymore. Yes, teams have come back from lower lows and there is a lot of season left to play but what can the Orioles do? Fans watched as the Cardinals completed a three-game sweep of the Birds in Baltimore last night. Brian Matusz was torched again for eight runs in just 3.1 innings of work. The Orioles did try to make it interesting on the backs of homers from Mark Reynolds and Nolan Reimold but the damaged had been done and the Cards held on to win 9-6. After the game the big news was Brain Matusz was optioned down to AAA Norfolk. Matusz has simply not been right since coming off the DL. Everything has been wrong, his mechanics; his velocity; his head - everything has been wrong. And this is just the worst news for the Orioles. Matusz, Tillman, Britton and Bergesen were all supposed be viable options in the rotation. Tillman is in AAA and struggling; Bergy is in the bullpen; Britton hasn't won a game it what feels like two months and Matusz was just sent down. And that right there is the Orioles' season so far in a nutshell. Pitching, pitching, pitching. Or at least the lack thereof. The Orioles went into the season with a perceived glut of pitching and now they are struggling to find a fifth starter for the next month. Likely candidates are Alfredo Simon, Jason Berken or Bergesen but that point is rather moot. The point is that I don't think anyone could predict the Orioles being in this position as far as their pitching is concerned. To see so many young arms regress and struggle, meanwhile Bartolo Colon happens and it is just infuriating.